NEW YORK/BENGALURU (July 28): A swoon in technology and transportation shares led the S&P 500 slightly lower on Thursday on a day full of corporate earnings reports, but the Dow industrials set a record closing high, helped by a jump in Verizon. The Dow Jones Transport Average, often looked at as a gauge of the economy's health, closed down 3.1 percent, dragged lower after a worrisome outlook from package delivery company United Parcel Service. The transports fell to their lowest point in nearly two months as UPS rival FedEx also declined. The S&P 500 technology sector was the worst performing major group, falling 0.8 percent even as Facebook shares gained 2.9 percent after the social media company's results. Tech has been the best-performing sector this year, leading the S&P 500's 10.6 percent run in 2017. After the bell, Amazon.com shares fell 2.7 percent after the e-commerce company's results. Amazon is the last of the high-flying companies known as "FANG" stocks to report this quarter. Wall Street's main stock indexes had tallied intraday record highs earlier in the session. "The general sentiment of the market coming into the day was that transportation stocks are telling us something that we're not paying attention to," said Art Hogan, chief market strategist at Wunderlich Securities in New York. "You've got a general feeling a lot of good news is priced in to this market," Hogan said. "That holds with technology. The problem with momentum stocks, once they start heading in a direction they get there violently, and that's what we're seeing today." 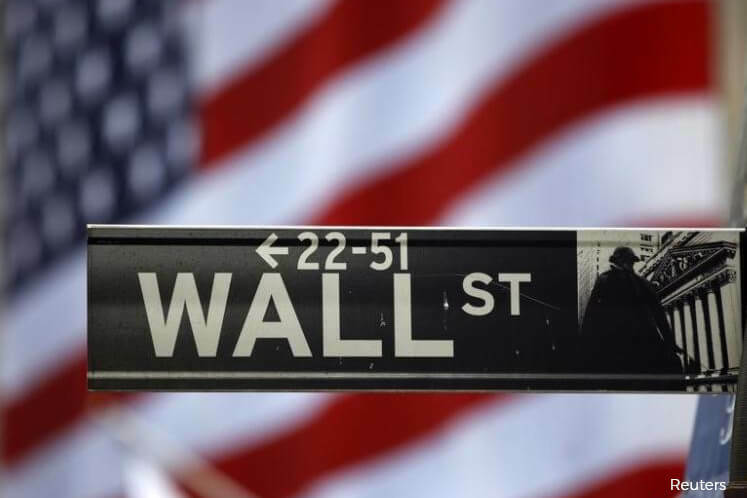 The Dow Jones Industrial Average rose 85.54 points, or 0.39 percent, to 21,796.55, the S&P 500 lost 2.41 points, or 0.10 percent, to 2,475.42 and the Nasdaq Composite dropped 40.56 points, or 0.63 percent, to 6,382.19. "The overall weakness in technology to me is a little bit of a surprise. We have seen some decent reports," said Peter Jankovskis, co-chief investment officer at OakBrook Investments in Lisle, Illinois. "There could be just a little bit of profit-taking going on here as we move near the end of the month." The PowerShares QQQ Trust, an exchange-traded fund (ETF) tracking the Nasdaq 100, hit a record intraday high shortly after midday in New York but fell as much as 2.5 percent from there with a spike in volume. As the market fell, Nasdaq 100 futures posted their busiest hour in terms of volume since at least mid March. “My guess is this is selling by a large ETF holder, likely in the QQQ”, said Kim Forrest, senior equity research analyst at Fort Pitt Capital Group in Pittsburgh, referring to the market's afternoon decline. Healthcare, which has been the second-best performing group this year, fell 0.7 percent. Bristol-Myers Squibb shares shed 3.1 percent after a failed cancer-drug trial from rival AstraZeneca Plc hurt sentiment for Bristol's similar treatment regimen. AstraZeneca's U.S.-listed shares tumbled 14.9 percent. With nearly half the S&P 500 having reported, second-quarter earnings are expected to have climbed 10.7 percent, compared to an 8-percent rise expected at the start of the month, according to Thomson Reuters I/B/E/S. Verizon shares surged 7.7 percent. The No. 1 U.S. wireless carrier's quarterly revenue topped expectations. The stock was the biggest support for the S&P 500, followed by Facebook and telecom rival AT&T. Twitter shares fell 14.1 percent. The social media platform disappointed investors with stagnant monthly active user growth. Declining issues outnumbered advancing ones on the NYSE by a 1.28-to-1 ratio; on Nasdaq, a 2.03-to-1 ratio favored decliners. About 7.7 billion shares changed hands in U.S. exchanges, well above the 6.1 billion daily average over the last 20 sessions.